The nuts and bolts essential to storytelling. Might seem overly technical at first, but the tools Shawn gives you to create a story are fantastic. The podcast is great too. A website to get your works out there and seen! Those who read my novel "The Clever Hawk" might be interested in reading more about the remarkable (and quite incredible) Marathon Monks of Mt. Hiei. 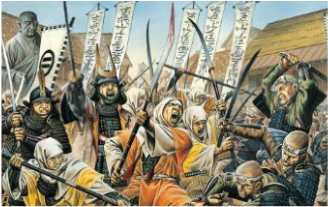 Books by Stephen Turnbull are packed full of fascinating history (he also writes of ninja and samurai.) There is a Guardian article, and article by James Clear, and of course a bunch more that can be turned up by a Google search. I found the book by John Stevens very inspiring when it comes time to roll out of bed and put the running shoes on. 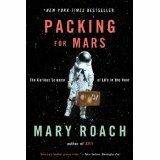 What I'm reading right now... Mary Roach's book on the history of space flight. Her other books (in particular the one about the lives of human cadavers) are engrossing, humorous, and fascinating.